while i want to make every moment count..
One of my goals is to make sure I am taking a photo of my family at least once a month. That may sound silly. But we get busy, and just forget. This book is the perfect place to document that photo. This one is super fuzzy as we took it while looking into a shop window. 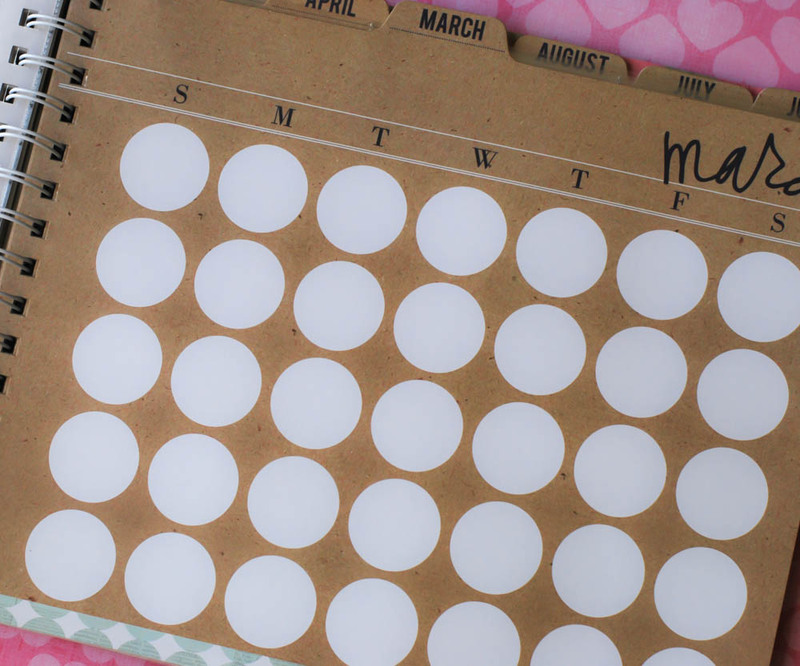 I really like the numbered list on each month as a place to add something i noticed in my day. Something I am thankful for. A gift found in the not so easily found. 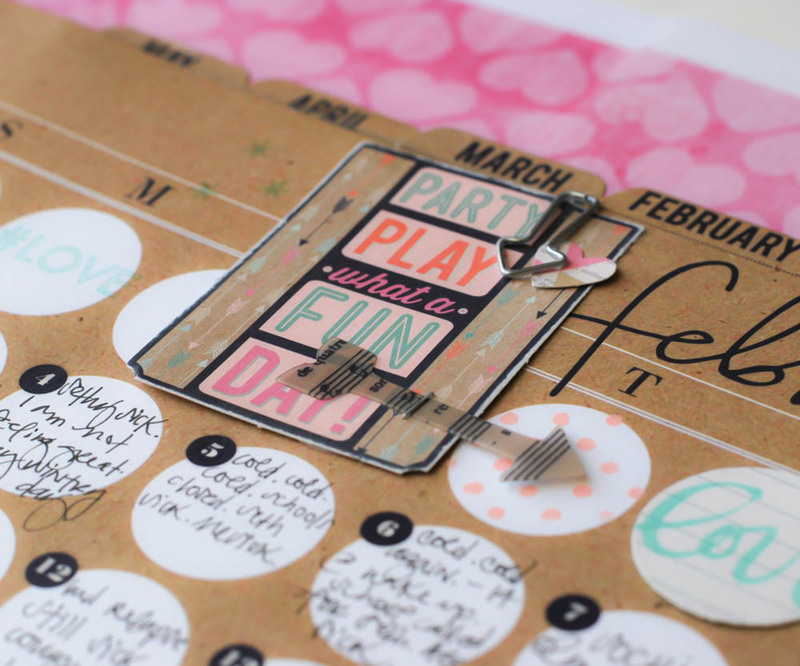 The page protectors were filled with lots of Heidi's printables she made available this past month. As well as notes, reminders, photos, little art canvases. Just simply things I love. There is an attempt here to not over think this process too much. To just add. Embellish. Write. Whatever. ...a home for a photo of each of my kids from the month before...again...you may find this a silly little goal and it should be easy to attain...but for us and our schedule it is not. I forget. The older ones are not around as much. It takes a bit of effort on my part to be purposeful about this. 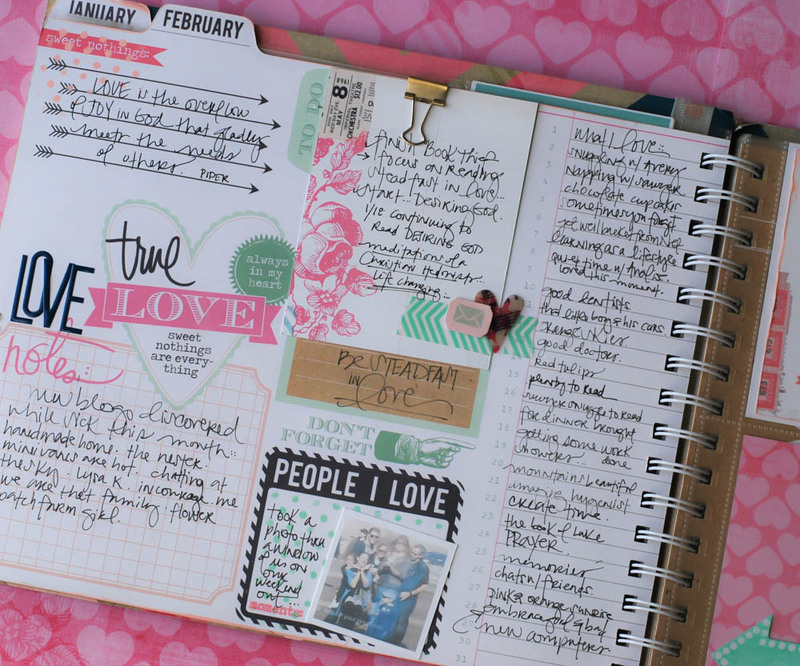 Again...Heidi is brilliant to come up with an easy way to write one thing down everyday. It is often the simplest of items to add to this book that will bring great remembrance to me in years to come. 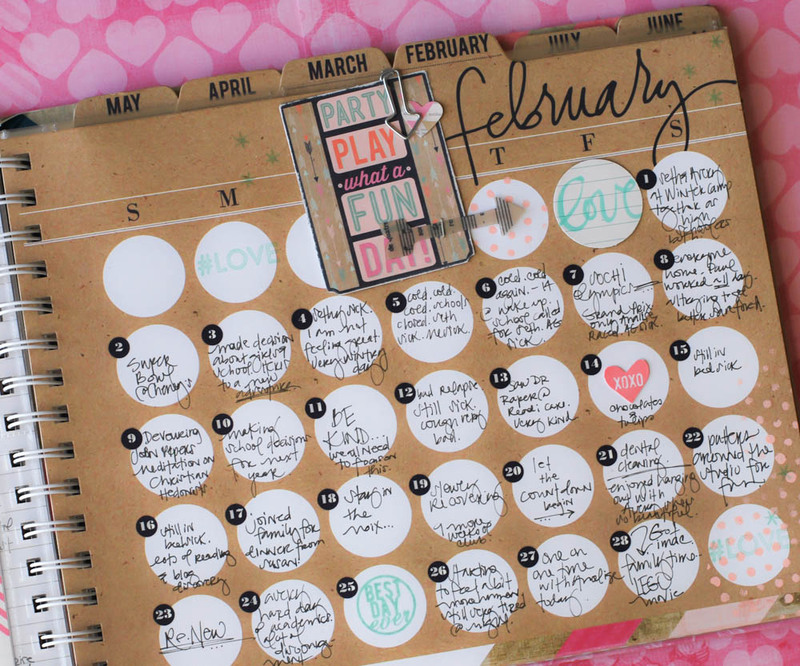 Did I tell you this Memory Planner just makes me happy? So...as I look back on the month...I am reminded that plans and goals do not always come to pass as one hoped. I had special plans this month that just could not happen. But that is o.k. It's life. We adjust. Re-plan. Move on. And that is what makes a blank calendar so exciting. The chance to begin again. To re-new oneself to their goals. To continue to seek the best in oneself...one. day. at. a. time. 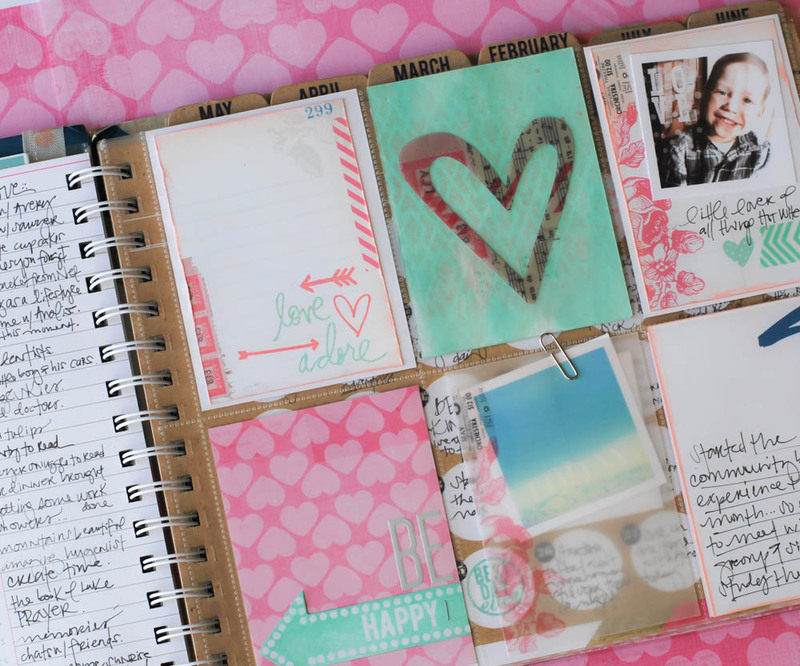 This is such a great project...I love your ideas and I am soooo enjoying this planner. I hope Heidi does one every year.....or should we just buy several, lol!!!!! Agree with you. 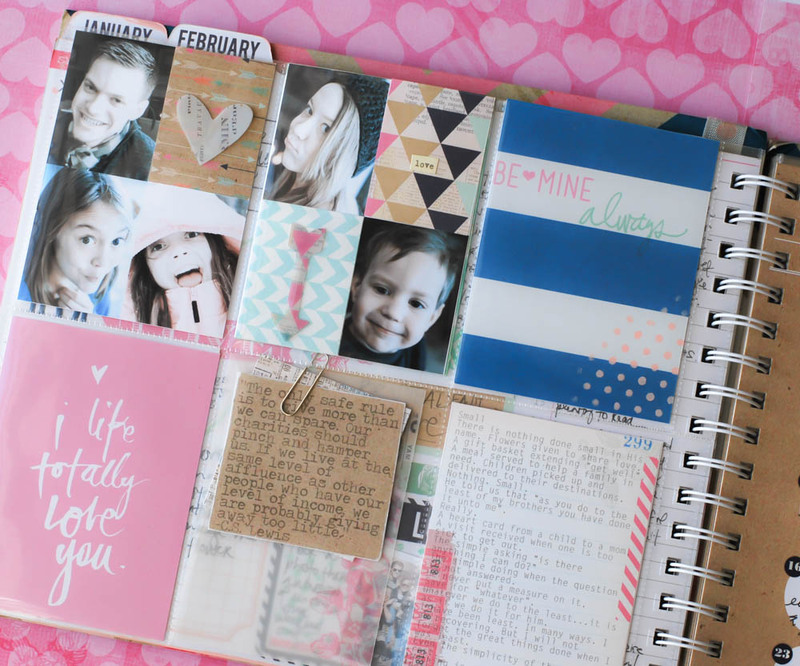 Great suggestion about "hoarding" these beautiful planners..lol!! !